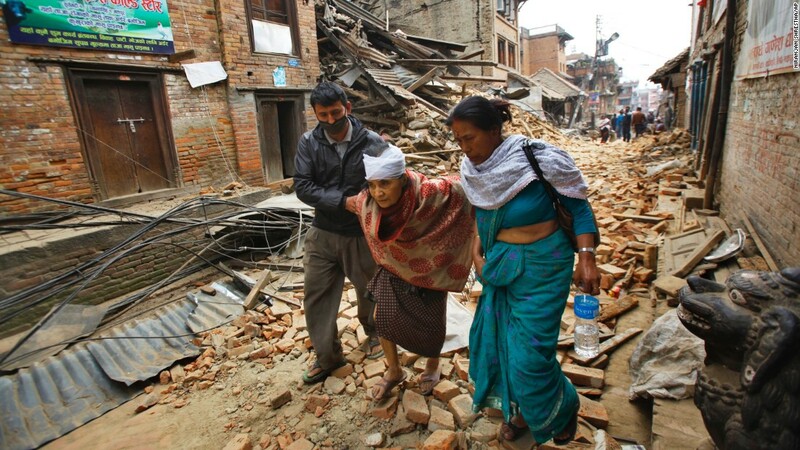 April 27, 2015 — The earthquake that struck Nepal on Saturday, April 25, 2015 was the worst to hit Nepal in 80 years. The quake hit Nepal’s heavily populated capital, Kathmandu, and impacted areas of India, Bangladesh, Tibet and China. As of May 8, more than 8,400 deaths have been confirmed, with millions more people injured, displaced and facing total devastation of their homes and communities. The death toll is expected to climb even further, and while early reports emerging from the country have shown massive destruction, the full extent of the damage is not yet known. Right now, Operation USA is readying medical equipment and supplies in our Los Angeles warehouse for delivery to partner organizations on the ground aiding victims. Your donations allow us not only to get aid where it’s needed quickly and effectively, but they also ensure we can make a long-term commitment to the people of Nepal. Operation USA continues to call for donations to aid in recovery efforts and funding for grant distribution to local agencies in the affected areas. We are also seeking corporate partners across the healthcare, transportation, water purification, shelter construction and power generation sectors to provide donated in-kind supplies of which there will be high need in areas affected by earthquake. As is true with every major disaster, more donations mean more opportunities to aid victims. So far, OpUSA has received many generous gifts, but we need so much more. The more we raise, the more we are able to help… and millions of people in Nepal and its neighboring countries are counting on us. We need your support. United Airlines will match donations up to $50,000, and is offering MileagePlus bonuses to members as a special thank you. Turn your unused air miles into a meaningful donation to OpUSA, saving us valuable funds and helping to get program staff where we’re needed most. The fast and easy way to get funds to those affected by the earthquake. Every dollar counts. Email info@opusa.org for more info. Click here to create your own fundraiser and enlist friends and family to help. Or use one of the below messages to post on Twitter and Facebook.